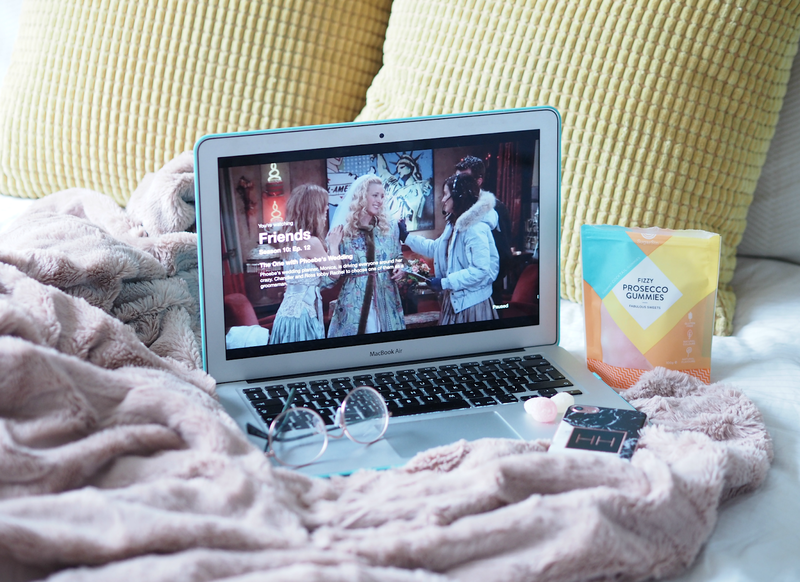 I remember tuning in to the last ever episode of Friends; I watched it on a small television set in my sister’s bedroom, snuggled up with a pillow in front of my face to hide the inevitable waterworks. Back in 2004 it was big news, the event of the year that was watched by millions of people across the globe; we’d watched these six New Yorkers evolve from twenty-something singletons to thirty-something married parents, and it was time to finally bid farewell. I can vividly recall sobbing during that final scene, made all the more heartbreaking because you could tell there was very little acting amongst those on-screen tears too. It was the show of a generation, groundbreaking in more ways than we can count, and one I retained hugely fond memories of as I’ve found myself dealing with the challenges and ever increasing candles on the cake that I watched through a TV screen all those years ago. When it ended I was only 21, with so much ahead of me and no clue of how I was going to get there, so re-watching the whole ten seasons when they landed on Netflix a few months ago was more eye-opening than I would’ve anticipated. Not only could I relate to the struggles they faced and the issues that seemed oh-so-important reflecting back, but I started to view the show as an unconventional feminist goldmine. Friends may have been on the receiving end of some millennial bitching of late (with those young-uns who never got to enjoy it the first time around picking holes and pinpointing outdated storylines,) but for those of us that tuned in on a Friday evening to find out which girl Ross would choose, it really was a revelation. 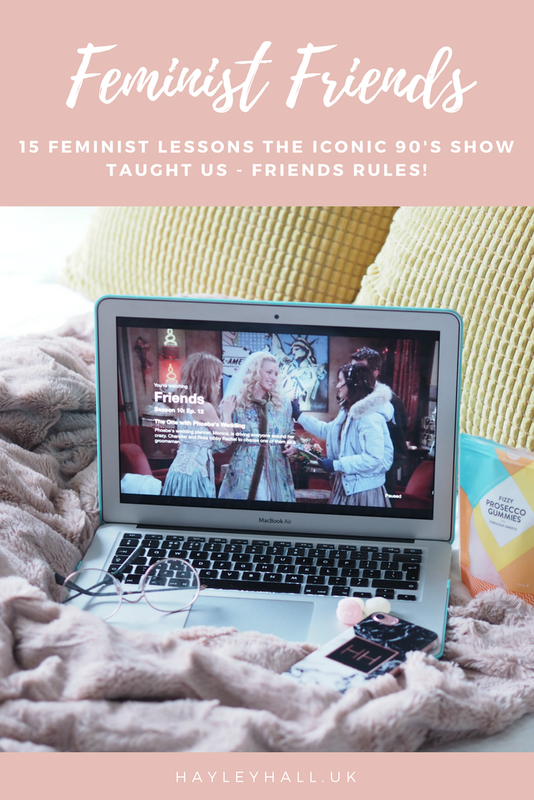 I’ve just binged all ten seasons, and as I come close to re-watching the final ever episode I wanted to celebrate all the amazing things this cult show taught us – because Friends really did champion feminist issues before we even knew what that was. first feminist episode of a sitcom ever. 3. You don’t need to settle for a Barry. 4. You should never compromise your values for a relationship. (S5 E21) When (vocally vegetarian) Phoebe’s boyfriend shoots a bird just after she agreed to move in with him, there was no question that it was over there and then. She taught us always to stick to our values and never compromise things that are important to you for a relationship – and that includes shooting things out the window because they’re making a noise. 5. You don’t have to put up with sexual harassment in the workplace. (S5 E17) Rachel accidentally ends up with an ink stain on her lip, which a potential employer points out in an interview; being unaware of what he’s trying to tell her, she outright tells him she won’t sleep with him to get the job. Even though it’s a comedy sketch, the deeper message is that you shouldn’t put up with any kind of inappropriate behaviour at work and you never need a job badly enough to accept sexual advances. It’s more relevant than ever following the #MeToo and #TimesUp initiatives; who knew Rachel Green was such a feminist icon? Even Monica is told ‘I like it dirty’ while prepping a salad, while Pheobe gets hit on during a massage – both refuse to put up with the behaviour, illustrating it’s never ok to be sexualised while you’re trying to do a job. 6. You can do it on your own. (S8 E8) After finding out she’s having a baby, Rachel decides she can and will be doing it on her own; although Ross intends to be a very present father, she makes it very clear that she will do it with or without him – and there certainly won’t be a marriage on the cards. Even though she hilariously (temporarily) lies to her father, the message here is loud and clear: you can definitely do it on your own, even if you don’t have the benefit of a nanny like high earning Rachel does! sexual pleasure for a night; when there’s only one condom left in the pack, Rachel and Monica played for it rather than leaving their escapades to chance. Good work girls! 10. You don’t need to be fake to get ahead. (S5 E18) Rachel was never that comfortable in her own skin and upon landing a job at Ralph Lauren starts ‘fake smoking’ to join in with decision making around the smoking hut; suffice to say it doesn’t work out and she ends up later accidentally telling her boss that she’s actually slept with and been rejected by Ralph. Neither of these moves really get her anywhere, but when she starts focusing on her work rather than being sneaky she actually starts to get somewhere. So don’t fake it til you make it, just get on with it. 11. You should never let someone tell you what to wear. (S6 E19) While Ross is dating a student who’s going away for Spring Break, he tries to hide her iddy biddy bathing suit to stop her from wearing it. Undoubtedly the most controlling and chauvinistic character of the lot of them, Ross does have his drawbacks – but it’s how the other characters deal with them that matter. And Elizabeth takes that ruddy bathing suit with her! valid as a man’s way back in 2003, and I’m totally here for it. still resonates to this day. girlfriend – although slightly weird if the boys know when to expect your period. If ten seasons of cohabiting doesn’t teach us renting is cool, then nothing will. there to cook you a Christmas dinner when all else fails. Be thankful for them. Over ten years and ten seasons Friends taught us endless lessons about life and love, some slightly more hidden than others. Re-watching 236 episodes I’ve come to realise how many positive messages the show held, especially during a time when women were certainly not depicted as empowered as they are now. Ross, Rachel, Monica, Chandler, Joey and Pheobe: we love you all. Thanks for the memories. I definitely feel like it resonates on a whole other level re-watching it back!